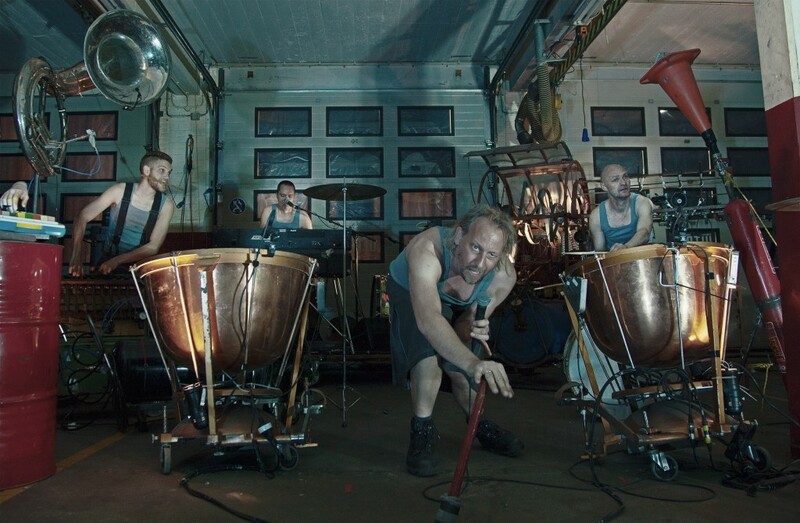 Over the years, BOT have developed their own theatrical voice; an intoxicating fusion of object theatre, circus and music that knocks audiences off their feet. Ramkoers truly pushes the boundaries of puppetry, is a rollercoaster of energy and sound, and is performed by handsome Dutchmen in kilts! We joined Geert Jonkers and Maike Fleuren from BOT to find out more about their very particular blend of the industrial and the fantastic. What is new or innovative about the ‘Ramkoers’ (Collision Course) performance? How does it relate to puppetry? GJ) It’s really a new kind of work. I know there’s a lot of object theatre here in the UK, but our mixture of making music with objects is rather different. We’ve done this for years and years, so we’ve grown into the work – for us it’s second nature but the big question we have premiering the show here in the UK is how does the performance translate? It’s only suddenly when you play abroad that you find out exactly how Dutch you are! So we’re excited to see!! I have a background in street theatre but with objects as well. The other performers have musical backgrounds and we started to combine that. You can use objects to tell stories in many ways. We use objects primarily as musical instruments but it’s also about how they look – we never hide things. Everything that happens with the machine, with that object, is visible. Therefore every object and every movement of that object tells part of the story. For me an object gets a character simply by how it is. For instance we have a very old accordion, which was worn down already when we got it. This accordion is one of the stars of the show. It drags itself forwards and it’s really difficult for this machine. Everybody sees the accordion, but they also see a machine which is struggling. So immediately, it’s a heartbreaker in itself – this machine has a soul. Are you musicians or are you performance artists? Is this a rock concert or is it the circus? MF) We started to make the show but it was difficult at first. But we decided to go against the stream, and do it – to go for it! And we built that up. We didn’t go for new stuff, we reused, we rebuilt. We start with an empty stage and we build the performance. You can build your own emporium! You don’t need to be in a castle (SMILES). So by doing that, by combining everybody’s strength, it builds up its own energy – and it’s not just the performers of BOT, but also the machinery we use. They are their own people! They are a really important part of the company and the performance. It just dazzles you!! Does each puppeteer/performer have their own object/instrument? GJ) Well, I’m a drummer so for me it’s mostly rhythmical but we pass things around, from one performer’s hands to another. And that’s a part of how we make our performances. It’s not about this one brilliant guy with this one brilliant idea. We all contribute. We constantly challenge each other – may the best idea win! MF) We think that anyone looking at the programme for the festival, who is trying to make a decision about what to watch should join us as its like nothing else. Even though we’re Dutch, you will be able to follow what we do and really enjoy the performance. It’s so visual and it’s so energetic that audiences want to jump up and join in! That’s what this show does – it’s got something for everybody. ‘Ramkoers’ is on at the Arnolfini on Sun 30 Aug at 9:30pm, Mon 31st Aug at 3:30pm and Tues 01 Sept at 9:30pm. To find out more, visit the Bristol Festival of Puppetry website.